Integrated Pest Management Serving North San Diego County for over 40 Years. Spiders in San Diego: What Spiders Live Near You? In San Diego there are two spiders that you need to watch out for, the Brown Widow, Black Widow and the Desert Recluse. If you’ve ever stumbled across these creatures and managed to walk away unscathed then consider yourself lucky. While their appearance is frightening their bite is much worse. These are the spiders you want to avoid at all costs. Surprisingly, this spider was not normally in our area until around 2000 but since there has become a common site in many areas. Similar to the Black Widow the Brown Widow Spider has its hourglass marking is on the underside of its abdomen and is orange in appearance. With a muted brown color to its body it’s easy to tell the difference between this spider and the Black Widow. Are there good bees and bad bees? The answer is yes, but it depends on the situation. If you are talking about honey bees pollinating flowers for the benefits for nature, there is no doubt that bees are good. But if you have a nest in or around your home, the answer is that not all bees are bad. When bees are alone in the wild, they are good. Bees work to pollinate the flowers and trees. They help make the flowers and plants bloom. Through the pollination process, bees produce that sweet honey. When you are dealing with stinging insects, you need to approach the situation with caution. Not only do bees sting, but they can also create havoc on your home. Many people do not know how much damage occurs when a nest is in or around your home. At Pinpoint Pest Control, we have been helping our North San Diego County neighbors get rid of pests for over 40 years, which means we have seen a few things! We pride ourselves on being skillful, efficient and quick at removing all types of pests. Here are a few of the common pests we see in coastal climates. Bed bugs are common in California due to the high volume of tourists that carry bedbugs unknowingly in their luggage. Some people don’t react at all to the bites while others develop blisters and painful, itchy red spots. Bites don’t have any long-term effects, but serious or recurring infestations have been known to cause anxiety, stress and insomnia. They can survive for up to a year without feeding, so you may not realize that you still have them if you try to get rid of them yourself. It’s important to protect yourself and your family from the physical and mental effects of bedbugs. Carpenter ants are not very common in our area, but we do see issues with them occasionally in the foothills in Ramona or Julian. Commonly thought to eat wood (they do not), they actually tunnel into wood to make their homes. They are a challenge to control because their nests are hard to find. Many pest companies will kill the scout ants but not the nest, leaving the home open to more attacks. Throughout history, humans and rats have coexisted together to the benefit of vermin everywhere. As people moved around the world and started colonizing different parts of the globe, rats followed suit as an easy way to get plenty of food and shelter on our behalf. These days, rats are everywhere, and they are just as much of a nuisance today as they were hundreds of years ago. However, while having rats in your home is undoubtedly an unwelcome idea, today we want to talk about some of the hidden, unknown dangers that can come from having an infestation take hold. Knowing that rats are hidden within your walls is one thing, but once you realize how much damage they are doing to those walls, it can be a nightmare. When people see a spider crawling across the bathroom floor, they usually don’t think of it as a natural part of a home’s ecosystem. Instead, the immediate reaction is often to kill it with the first object they find. However, spiders are not the problem people see them as. They rarely bite, they don’t destroy property, and generally, they keep to themselves. Not only that but left to their own devices, spiders can actually help you take out the pests in your house which cause the real damage. Spiders have been living in human-made structures since humans have been making structures. Spiders have been our roommates for centuries, therefore when someone catches a spider and brings it outside to put it in 'its natural habitat,' they are actually taking it out of its natural habitat and bringing it into a foreign location, as since spiders have grown accustomed to indoor environments. Spiders should not be thought of as intruders. In fact, spiders are critical for keeping your home free and clear of pests such as earwigs, mosquitoes, moths, roaches and houseflies, creatures which can cause tangible harm to you and your household. While spiders make great and helpful guests, it is understandable if you don’t want to pass by them on a daily basis. Instead of squashing them or throwing them outside, you can create designated areas for spiders in places where you don’t have to look at them. Just clean out cobwebs in cabinets, under furniture and around lamps and blinds, delegating them to more discreet locations such as basements, garages, attics and crawl spaces. Also, caulk any openings near main entrances where spiders may be able to get through and repair broken window screens and doors. This way, you can experience all the benefits of spiders without having to deal with them directly. If you’ve noticed pests in your home, you’re likely uneasy with their presence. While it’s common knowledge that insects, rodents and other intruders can carry health impacts, most people don’t consider the financial implications that pests can have on your home. F&W Pest Control would like to tell you that you’re not alone in ridding your home of dangerous, damaging pests. 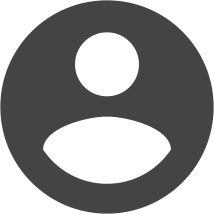 We can help you remove existing infestations as well as develop a regular maintenance schedule that will help prevent a recurrence. Read on to learn how common pests can end up costing you a lot more than your peace of mind, and then contact us today for a consultation. We take pride in our excellent customer service and look forward to helping you protect your family and your investment. Mice and rats have several traits in common. These nocturnal creatures eat a wide range of foods and frequently gnaw on building materials. Nevertheless, the two rodents also differ in multiple ways. They don't look identical or engage in all of the same activities. An adult rat measures about 10 inches longer than a mouse. It has a thicker body and tail. Big rodents typically cause more damage and create sizable messes. However, a mouse can infiltrate your home or business with greater ease. Mice have tiny triangular heads and pointy snouts. They also feature comparatively large ears. You might find them cute if they weren't trying to raid the pantry or shred your socks. On the other hand, most rats have big heads with a chunky appearance. If you are the victim of a bee's sting, you may notice that the area becomes red and swollen. The stinger may cause you to feel sudden pain in the area where you were stung. Provided that you are not allergic to the toxins emitted by bees, an occasional sting should not cause you to experience any serious medical issues. In the case of a honeybee sting, the sting is more dangerous to the bee. After a honeybee stings you, the bee dies. The honeybee loses its life because its tiny digestive tract, nerves and muscles are intricately connected with the stinger. Consequently, the bee suffers from a rupture in its abdomen resulting in death. Did You Know Some Insects are an Endangered Species? Although bugs can be a big-time nuisance, they are often quite fascinating. Like some animals, certain insects are currently on the verge of becoming extinct. Let’s take a look at some of today’s endangered insect species. As its name suggests, the Goliath bird-eating spider is a monster-sized spider. No other spider on the planet has a larger stature. In fact, you’ll need two hands to even hold it. From mice to small snakes, this humongous spider can be seen chowing down on a variety of different animals. Unfortunately, its population continues to dwindle with each passing year. Found in Hawaii, the Kauai cave wolf spider is a bit different from the typical wolf spider. Because the Kauai cave wolf spider lives in extremely dark environments, it doesn’t need to see. However, special sensory organs enable this eyeless spider to easily locate prey. Humans have now taken over the Kauai cave wolf spider’s habitat, which has caused it to become endangered. If you are looking forward to spending a fun and exciting summer with your friends and family, you are likely wondering what steps you can take to keep pests away from your Fourth of July party. Allowing pests to strike during your event will affect your guests in a negative way, and some of them might feel tempted to leave early. Since nobody wants pests to ruin the party, striving to keep them at bay is critical if you would like to keep everyone happy. You can discourage pests and secure your Fourth of July event without much trouble when you follow a proven path. A dirty yard makes it easy for pests to strike because they will have many places to hide. Cleaning the clutter from your yard, mowing your grass and removing standing bodies of water will reduce the number of pests that will crash your party. Mosquitoes won't have stagnant water for reproduction, and other pests will leave to find environments more favorable to their survival. If you want to get positive results when you use this step, you must clean your yard several days to a week before you plan to host your event. Not many things will spoil the fun as much as getting stung by a bee or wasp when you are trying to enjoy the day. Pain, itching and skin irritation are the symptoms you can expect if you become the victim of a bee or wasp sting, but those who are allergic to the venom will have an even bigger problem. Cutting off the tops of 2-liter bottles, filling them with sugar water and replacing the top upside down creates the perfect bee and wasp trap. They will smell the tasty treat and want to get inside, but the bottle will trap and drown them. Those who spend time outdoors for work or fun will encounter bees, wasps and other stinging insects on occasion, but they won't always know what steps to take when they get stung. If you are the victim of a bee or wasp sting and want to reduce the pain, following the right steps and having a few tips on hand will help. Although stings will always cause some pain and mild discomfort, treating them properly will make the situation much more manageable, and this guide will show you where to start. Learning about the symptoms you can expect when a bee or wasp stings you is a great step in the right direction. These insects release venom into your skin when they attack, so you will notice a sharp pain followed by itching, redness and skin irritation. You could be asking yourself how long the pain from the sting will last, and the answer depends on several factors. For most people, the pain will vanish within two hours, but swelling can last for several days. Those who are allergic to bee stings will notice life-threatening symptoms that require immediate attention. If you don't want to go to your pantry and discover an ant infestation when you least expect it, taking steps to keep ants at bay is vital. Ants will taint your food and create an unpleasant sight if you don't stop them from launching an invasion. Keeping these insects out of your home is easier than getting rid of them after they make their way inside, so you must learn what attracts ants and how you can discourage them. Arming yourself with the right tips and information will allow you to protect your pantry without much trouble, and you will know you are on the right track. Cleaning your pantry on a regular basis is a powerful way to stop ants from causing problems for you and your family. Food sources will attract ants before you know it, and spills are like beacons that entice them. You can remove all of your items and wipe your pantry down with a nontoxic disinfectant when your goal is to avoid ant infestations. A yellowjacket has a similar appearance to a bee or a wasp, but they are often much more aggressive. The sting that they deliver can also be very painful. If you're outside in the spring and summer when these flying pests are swarming around, there are a few things that you can do to avoid being stung by them. Most yellowjackets are social insects, which means that they like to swarm in large numbers. They are often seen around trash cans and other areas where food and beverages are on the ground or readily available. Avoid throwing any food outside so that yellowjackets aren't tempted to come around. If you have an event planned outside, you should keep foods and beverages covered to keep the insects away. If you do interact with a yellowjacket, it's important to stay as calm as you can. Don't agitate the insect, and don't try to swat at it or run because these actions can cause the pest to sting. If yellowjackets feel threatened, then they will usually sting. They can sting several times instead of only once like a bee. When yellowjackets are killed, they emit a hormone that lures other yellowjackets to the area. This means that one or two can quickly become a dozen or more if you are not careful in how you handle them. If there are yellowjackets on your property or you encounter several of them in one area, it is important to have them removed in a safe manner so that you and other people are not stung. Any yellowjacket sting should be washed and cleaned as soon as possible. Monitor the area for any redness or swelling because many people are allergic to these pests without knowing until they are stung. You can put ice on the bite or an antihistamine to keep swelling to a minimum. Most yellowjackets will only live in their nest for a short time. When the weather turns colder, they tend to die off. If you see any kind of yellowjacket nest on your property, it's sometimes better to just wait until the fall or winter season if you don't want to handle the pests on your own, especially if they don't pose a direct threat to your home. Are you trying to eradicate the ant colonies in your yard? Beware that unconventional solutions are practically useless, so they won't produce long-term results. What makes them useless is the fact that they are based on myths. Therefore, you can save yourself headaches by reaching out to a professional pest exterminator. 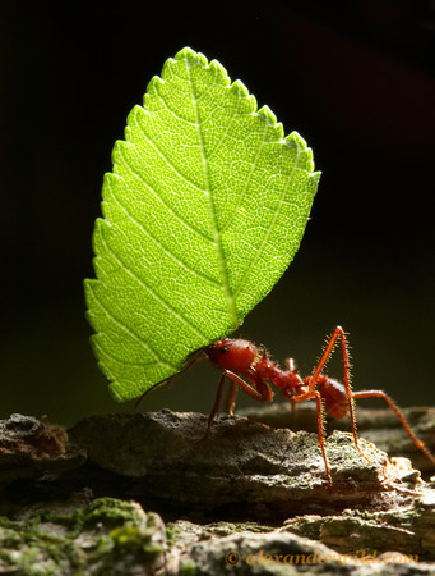 Professionals are specially trained to deliver effective ant control. Here are the top myths that property owners often rely on. Using boiling water is like putting a small patch on a serious wound. The boiling water will help kill a lot of ants, but it won't stop the colony from expanding. Also, you will have to use this method on a regular basis to keep these critters at bay. For ants, cinnamon is totally unappetizing, so they will try to avoid anything that's covered with cinnamon. However, dumping cinnamon on anthills won't deliver a devastating blow to the colony. Doing this will only cause an even bigger problem because the ants will relocate, and their new home might be closer to yours. Every year, fleas cause itching and other discomforts for millions of people and their pets. That is not the worst of it, however, for fleas can also transmit bacterial infections such as cat scratch fever and the plague. Being able to recognize a flea infestation in your home or elsewhere is vital so that you can get rid of these insects and avoid the problems associated with fleas. Several key signs may indicate a flea infestation in your home. Scratching and Biting: A cat or a dog that spends an excessive amount of time scratching and biting may be suffering from fleas. In particular, cats tend to scratch their heads and necks a great deal if fleas are present, while dogs will scratch and bite their hind quarters. Red or Black Flecks: An abundance of red or black flecks in your pet’s fur may indicate a flea infestation. These flecks are the droppings that fleas leave behind. Red and Irritated Skin: As you groom your cat or dog, pay close attention to the skin under the fur. Red and irritated spots on the skin may mean that fleas are present because the skin of pets reacts to flea bites and to all the scratching and biting animals do to get relief from fleas. Discovering the presence of household pests is a common occurrence for many homeowners throughout America each year. Whether they are seeking shelter from the colder weather of Fall or Winter or simply after food, pests of various types can take up residence in your home for many reasons. Cockroaches are exceedingly common in the US in a wide variety of locations. Among some of the most hated insects for good reason, cockroaches are troublesome to encounter. However, detecting a cockroach problem is not always an easy task. Let's talk briefly about the reasons why cockroaches are a problem and why they are an intriguing insect to learn about. 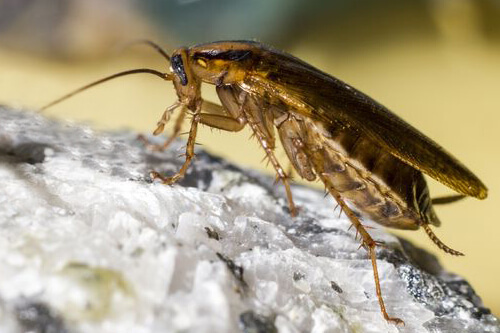 Although they are generally disliked and removed from homes quite promptly, roaches have many fascinating traits that can be fun to learn about. Below is a list of three facts about roaches that you may find surprising. Did you know that cockroaches spend as much as 75% of their lifespan at rest? You are very unlikely to even see a cockroach during the day due to the fact that they are nocturnal. They spend the entire day at rest and may go scavenging for food or water at night while you're sleeping. Spotting an active cockroach during the daytime is a good indication of a large infestation as this is highly abnormal behavior for them to display. Do Earwigs Bite or Pinch? Earwigs – these insects look like aliens from another planet. Their long bodies, numerous legs and pinchers make them the stuff of horror movies. In fact, these pests have earned a reputation as deadly predators that feed on the human brain. None of the rumors are true, mind you, but it doesn't take anything away from their frightening appearance. Pinch, Bite or Sting: Are Earwigs Dangerous? Contrary to folklore, earwigs are no more dangerous than a cricket. Many people misunderstand this common household pest, believing that it bites or pinches when it attacks. 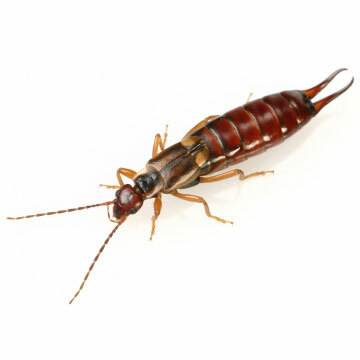 Earwigs don't attack people and will only use their pinchers if they're handled and frightened. If they do use their pinchers on someone, it feels like a pinch and doesn't normally break the skin. Therefore, earwigs don't bite; they pinch. How Did Earwigs Get Their Reputation? In medieval times, doctors believed that earwigs could crawl into a person's ear and burrow down into the brain, causing serious harm or death. This insect struck fear in the hearts of most everyone back then, and they kept it as far away as possible at all times. Of course, earwigs don't enter your ear or burrow into your brain. Although they look sinister, they're not venomous and only use their pinchers for defense. Don't Let Pests Come to Your Thanksgiving! Nothing beats turkey with all the fixings on Thanksgiving. Having the game play in the background while visiting with friends and family makes this day one of the most special holidays of the year. With so much going on in the house, the last thing that you need to deal with is a pest infestation. When flies, roaches and other insects are trying to ruin your holiday, Pinpoint has some tips to help you out. Knowing what to look for will give you a better chance at eliminating the pests. Fall pests often invade homes in search of shelter for the coming winter, such as stinkbugs and beetles. Other pests, such as roaches and ants, will also make your life miserable for the holiday. Identify the pests, and use the appropriate treatments to eliminate them. Insects are getting into your home one way or another, so locate and plug up their entryways. The most common entrances are gaps around windows, doors, vents and plumbing. Use a sealant to block the holes and to stop the pests from coming indoors. If the gaps under the doors are too wide, plug them with large towels or foam rollers. Of all the pests that call Oceanside, California, home, fleas and ticks are not only the most prevalent but also the most harmful to both you and your pets. Read on for important information about protecting your family and furry friends. 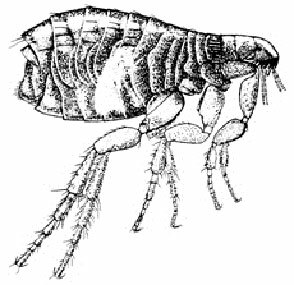 Fleas have four life stages, which includes egg, larva, pupa and biting adult. They feed on the blood of humans as well as domestic animals like dogs and cats. Considering that a female flea can lay up to 2,000 eggs in her lifetime, it's important to take action immediately if you've found one flea in your home or on your pet. Not only will this prevent a major infestation in your home but it'll avoid pets from developing intense bouts of itching, anemia and tapeworms. Not applying flea prevention strategies in and around your home, especially if you own cats or dogs. Rodents carry fleas into your yard, and your pets bring them into your home. Any human entering your home can also act as transportation for a flea hoping to infest it. Mow your grass regularly, trim your shrubs routinely and deter rodents from entering your yard. Run a flea comb through your pet’s coat before going inside after a walk, and apply a monthly flea treatment. Vacuum your carpets once per week, or more if suspect there are fleas in your home. Like fleas, ticks also have four life stages: egg, larva, nymph and adult. And they also feed on the blood of their hosts, such as humans and pets. They fall into the arachnid classification, which means they're closely related to scorpions and spiders. What makes ticks so dangerous is that they can transmit diseases to humans, including Lyme disease, Rocky Mountain Spotted Fever and Ehrlichia. It's more common to find a tick infestation on a dog than a cat. Which Types of Bees Are Beneficial? The United States is populated by about 4,000 species of bees belonging to nine different families. These include such familiar members as the bumbling bumble bee, the sweet honeybee and the busy carpenter bee. All of these bees perform invaluable services to our world as pollinators. Plants reproduce through pollination, which refers to the pollen transfer from the male part of the plant to the female part of the plant. Once the pollen has been transferred, a new fruit, seed or nut can form. Plants often depend on the wind or animals to help with reproduction, and bees are among the most effective pollinators because they have pockets and hairs on their legs that tend to collect large volumes of pollen and they focus their attentions on one type of plant at a time. This allows for more and better quality pollination with each trip a bee makes. About a third of crops benefit directly or indirectly from bees’ visits. Honeybees and other pollinating creatures, including hummingbirds, bats and butterflies, are estimated to help produce millions of dollars worth of agricultural crops. Some of these foods include apples, asparagus, blueberries, broccoli, cantaloupes, cherries, cucumbers, cranberries, watermelons, pumpkins and almonds. Honey is another food we would not have without bees.